Its rigid body structure ensures better safety and security to the occupants. Diesel engine performance is really superb compared to its rivals. Lack of safety features like airbags, ABS, EBD, child safety locks etc. Absence of optional alloy wheels. 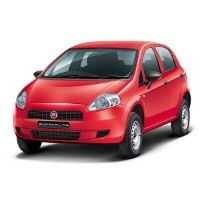 Fiat has launched its new well designed model named as Punto Pure in India at an affordable cost. This new car is found to be 3987mm long, 1687mm wide and 1495mm high respectively. It is powered by a 1.2 litre FIRE petrol engine churning out maximum power output of 67bhp at 6000rpm and 96Nm of maximum torque at 2500rpm. Another engine is 1.3 litre MultiJeton diesel engine generates the peak power of 75bhp at 4000rpm and a peak torque output of 197Nm at 1750rpm. Both petrol and diesel engines are mated to a five speed manual gearbox. In order to enhance the safety, the car is incorporated with Antilock Braking System on the high end model but it missed alloy wheels, front airbags. Instead of alloy wheels, the vehicle is offered with a 14 inch steel wheels. On the other hand, the lower end model is bestowed with black door handle and ORVMs. This new Punto Pure is available in three impressive color options such as Exotica Red, Hip Hop Black and White. Fiat Punto Pure is available in 2 variants. View below listing of variants based on their fuel type. Upcoming variants of Punto Pure are also listed here. * Prices of Fiat Punto Pure car indicated here are ex-showroom price not the on road price of Punto Pure. Price list is subject to change and for the latest Fiat Punto Pure India prices, submit your details at the booking form available at the top, so that our sales team will get back to you. Fiat Punto Pure mileage mentioned here is based on ARAI test drive and not from Punto Pure review by vicky team. 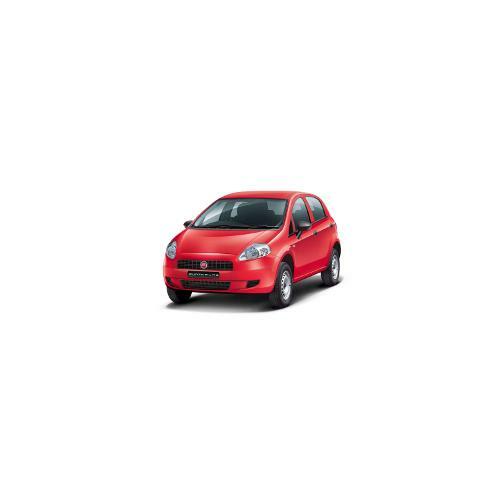 "The prime specs of Fiat Punto Pure are listed here. The overall length, width of the car should give you an idea about parking space it require. The ground clearance (lowest part of the car to the ground) will give you the measure of water wading capability and confidence of Punto Pure's capability to run over potholes and speed breakers. However GC (ground clearance) won't tell everything. Other important factors like approach angle, breakover angle and departure angle is required to assess the cars' ability to run in rained indian roads and light off road tracks.Engine specs of Punto Pure are also listed here. With the power (in bhp) and torque (Nm) figures the most important ratios - power to weight ratio of Punto Pure and torque to weight ratio. The displacement (in cc) is the measure of cubic capacity of the engine. Earlier there was a notion, larger engines produce more power and torque however with the invention of advanced technologies this is no longer true." Find your favourite Fiat Punto Pure car features list. While power windows, power steering and central locking are considered prime convenience features, the presence of safety features such as abs and airbags will give the necessary safety for the Punto Pure occupants. Alloy wheels is something everyone would love to boast about. There were a lot of choices for me to browse yet at last the red hued magnificence that the Fiat Punto Pure is won my heart. The vehicle accompanies extraordinary looks and a motor that is solid with its 1.2 litre FIRE petrol engine with an uprooting of 1172cc added to its repertoire. Mileage is around 19kmpl which is more than I could have request. In the event that you have a big family than you would need to stay away from this one otherwise this is an extraordinary purchase. The inside albeit little is pretty perfectly designed with pleasant inconspicuous yet rich additional items. I like the Fiat Punto Pure very much because it gives me great pleasure while riding on both city roads and highway roads. I am totally satisfied with the car for its excellent mileage which is high than 20kmpl. The vehicle has an enough space along with excellent interiors and usage of high quality materials. It actually satisfies needs of Indian people.